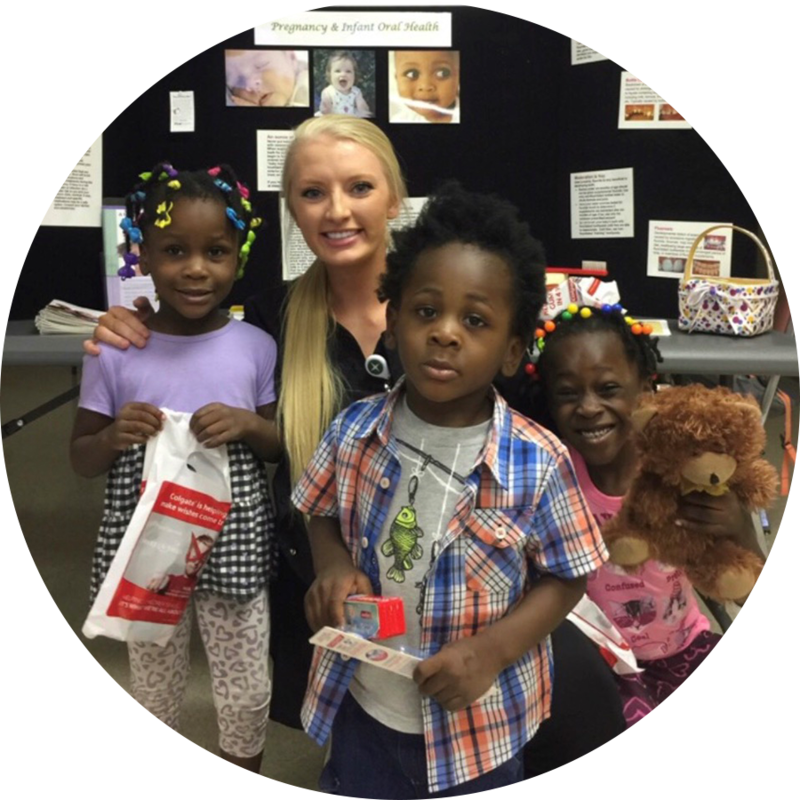 Because of donor support, America's ToothFairy was able to provide funding that allowed FirstHealth Dental Care to work with the Women, Infant, and Children's Nutrition Program to provide one-on-one dental education to new parents. 435 parental sessions were held to benefit 988 WIC children with lessons on cleaning the baby's mouth, avoiding sugary drinks in the night-time bottle, and encouraging the first dental visit by the time the first tooth erupts or no later than age one. One of the mothers who had participated in the program has twin sons, and brought them in for their first visit to the FirstHealth Dental Care clinic. The dentist explained that all of the primary teeth were very close together in both twins, and it was important to floss the primary teeth. The parent was astounded that she could floss "baby teeth." The preventive education provided has helped improve the twins' oral health. Parental education and early preventive services are essential to help solve the oral health crisis in America. Learn how YOU can help kids access annual preventive care as part of our Be the ToothFairy campaign.